According to some statistics there are approximately 5 million Iranians living outside of their ancestral homeland. They range from political refugees in Amsterdam to second generation Iranian Americans in California to engineering students in Sydney. What does “exile,” “nostalgia” and “identity” mean for these Iranians abroad? 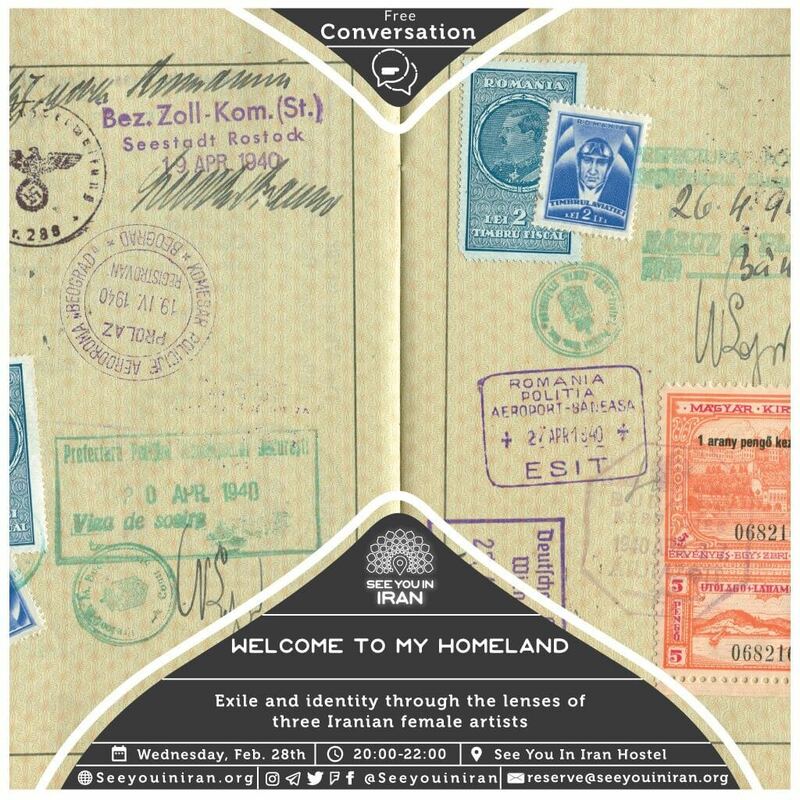 #SeeYouinIran Cultural House is excited to host “Welcome to My Homeland” this Wednesday, February 28th at 20:00 with Iranian Italian sociologist Rassa Ghafari and Iranian arts and literature researcher Shabnam… Welcome to My Homeland” is an overview of the journey to discover one’s own identity of three Iranian artists through different media: Marjane Satrapi’s movie Persepolis, Azadeh Moaveni’s novel Lipstick Jihad and Shirin Neshat’s art pieces. We believe there is no more powerful tool than art to discuss about the meaning of “homeland” and the representation of Iran both abroad and in our own minds.